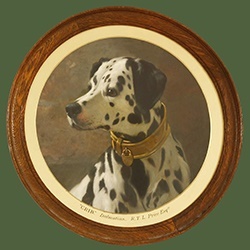 Operating since 1782, Sworders is one of the leading fine art and antiques auction houses in the United Kingdom. In 2008, the business expanded into its purpose-built auction rooms in Stansted Mountfitchet, opened by HRH Princess Michael of Kent. This year, we celebrate 10 years in our award-winning premises and, to mark the occasion, we will host a prestigious 10th anniversary auction on Tuesday 19 and Wednesday 20 June, profiling fine furniture, British and European paintings, silver, clocks and works of art. Tom’s Trust help children with brain tumours to live fully, by providing Clinical Psychologists to assess and treat their emotional needs within a rehabilitation setting, as well as providing support for their families. The charity was founded in 2011 by Debs and Andrew Whitley as a legacy to their only son Tom, who died in November 2010, just seven months after being diagnosed with a malignant brain tumour. The Trust now funds ‘Brainbow’ – a unique specialist service at Addenbrooke’s Hospital, providing Clinical Psychologists to support children with brain tumours and their families from the point of diagnosis, throughout treatment and beyond. To make a donation to Tom’s Trust simply text the message 'TOMS11£amount' to 70070 for example to make a £10 donation, please text 'TOMS11£10' to 70070. You may also make a donation on the Tom's Trust website, please reference 'SWORDERS'. The creation of what was Europe’s largest straw bale building in it's year of construction was a labour of love for Sworders directors who struggled for five years to be granted planning permission for the project. When work finally began in 2006, craftsmen arrived in Essex from far-afield - the timber frame from Scandinavia and the cedar shingle roof fitted by a team from New Zealand. While the total bill was close to £1.7m, the principal building material - ordinary straw bales compressed in a baler - cost a relatively modest £4,000 with much of the workforce provided by trainees keen to learn a valuable new skill. Shortly after opening it's doors, the building won a sustainability award from the RICS. Over the last decade, our beautiful saleroom has been a fitting environment for a series of incredible sales. In January 2012, Sworders had the pleasure of selling Two Rotating Forms II – a sculpture crafted by English artist, Dame Barbara Hepworth DBE in 1966. Created from alabaster stone, fixed on an ebonised wooden base, this innovative piece of modern British art sold for a weighty £250,000. Another notable piece of modern British art sold in April 2016 - Easter Bouquet. This 1934 oil on canvas, by Suffolk-based artist Cedric Morris, pushed the hammer to £49,000. In June 2017, an early 16th century oak aumbry cupboard sold for £65,000. Guy Schooling, Chairman at Sworders, comments: “Our auction rooms have attracted a huge variety of extraordinary items – from the curious to the incredible. Our 10th anniversary auction provides an opportunity to celebrate some of the most memorable sales from the last decade. With consignments still being accepted, the high profile nature of the anniversary event is set to attract some truly marvellous items – from the finest art and antiques, to historical artefacts and works of art”. The anniversary sale will provide an opportunity to bid on a variety of extraordinary items, including a pair of paintings by British marine painter, William John Huggins, estimated at £6,000- £8,000. The paintings illustrate 19th century lifeboats at a boat wreck, believed to be a representation of a real incident. Also consigned for sale – The Bury Hill cabinets – two George lll period Coromandel lacquer press cupboards constructed from 17th century panels, depicting a palace scene, animals, birds and flowers. In England, the use of this style of Chinese lacquerware to make up pieces of furniture was relatively rare. Bury Hill is an estate of around 1600 acres located to the west side of the Surrey town of Dorking, created by Edward Walter. The Bury Hill Estate was bequeathed to Walter's son-in-law Viscount Grimston. In 1815 it was purchased by Robert Barclay (1751-1830), the wealthy Southwark Brewer and remained with the Barclay family for one hundred and fifty years. The Bury Hill cabinets are estimated at £4,000 - £6,000 for the sale. In addition, a beautiful, George IV period silver wine cooler, which takes a partly fluted campana form, engraved with an intriguing crest, with the gadroon border decorated with shells. The item was produced in 1823 by William Bateman, a well-known London-based silversmith. Hester Bateman (1709-1794), grandmother of William, was the most famous English female silversmith of the 18th century. Our specialists hold regular valuation days. Please contact us for more information, or complete the form on this page to enquire about the valuation of your items. Chairman and auctioneer at Sworders. Guy has over 25 years experience in the world of fine art and auctioneering. His passions lie with English furniture and the Arts & Crafts Movement. He is available to undertake valuations of single items or entire collections. James is an auctioneer & valuer with 7 years of auction room experience to add to a lifetime of interest in antiques. He heads up the fortnightly Homes & Interiors sales, offering a range of high quality and affordable modern and antique furnishings for the home and garden. These sales are the perfect introduction to the auction world for new and inexperienced buyers.